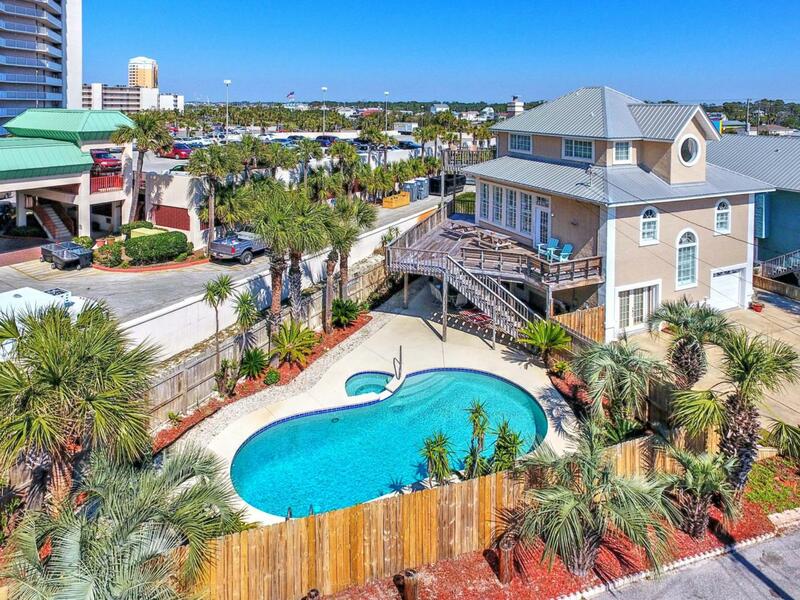 Gulf Views and awesome rental potential! Only steps to the beach! 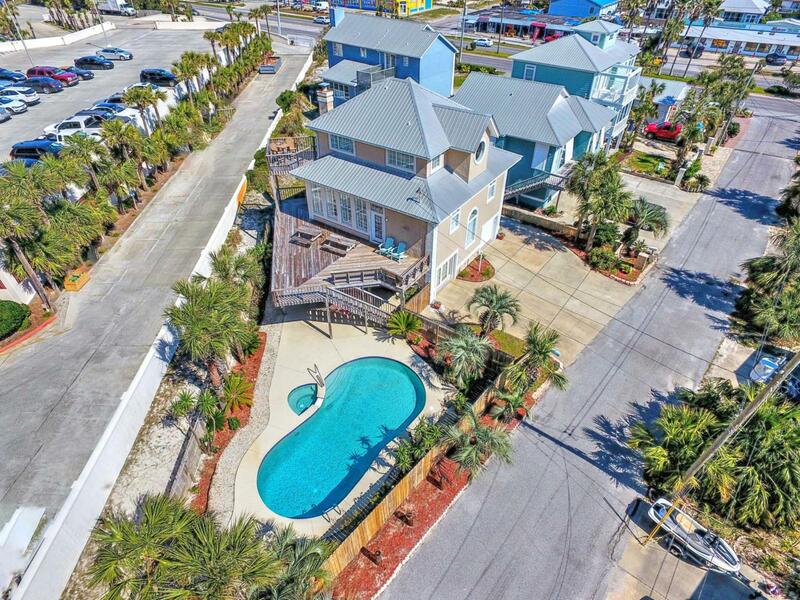 Enjoy this neighborhood's deeded beach access. Featuring 4 bedrooms, 3 full baths, bunk room, and a ''resort like'' backyard complete with pool and hot tub. Relax and sunbathe or grill out on your spacious decks on both the 2nd and 3rd floors. This beach home even has a garage! Recently painted, new hardwood floors, plantation shutters and rental ready for you just in time for the summer season! 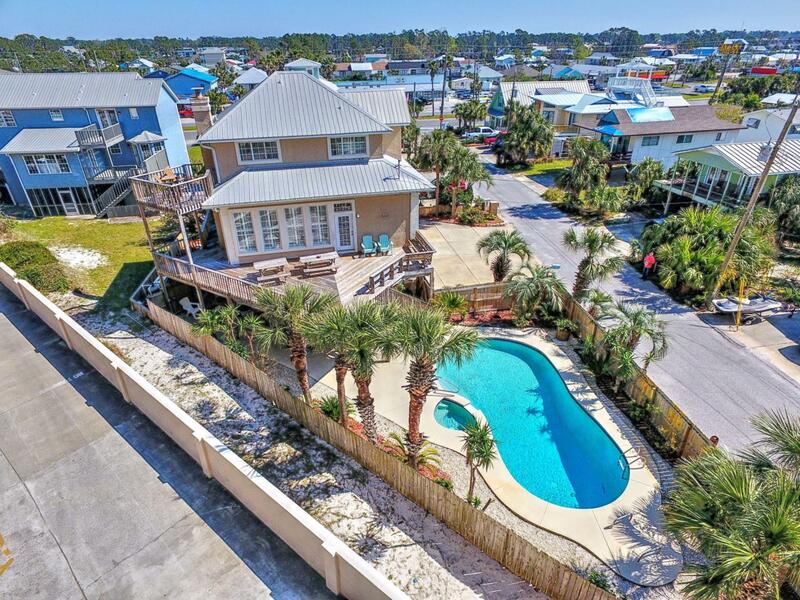 Holiday Beach on the Gulf is a small community located South of Thomas Drive in Panama City Beach with private beach access and close to all Panama City Beach has to offer. Easy access to St Andrews State Park, restaurants, shopping and more. 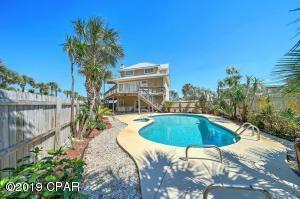 This is the perfect second home, vacation rental or better yet -move full time!